Sydney sits on valuble sandstone, some of the best, with no sedementary lines it is exellent for carving, and at 7 thousand dollars per cubic meter for premium quality stone....it is worth mining, but instead it is wasted ....every developer has it cut out in rubble sized crumbs and dumped.......Newcastle north of Sydney has been a coal mine town since day one btw. Hi, great video. I have done 2 short movies on mining in South Wales on my Youtube channel "UAV PAP". I hope to do more when time and weather permits. the Clean Air Act banned the use of Lignite and Bituminous as fuel any plants that burn the lower grades need graphite and limestone scrubbers on their stacks the only nation that does not have a Clean Air Act is China 90% of the factories and power plants in China burn Lignite and Bituminous with out filtering it the air is so bad you have to ware a gas mask to work today through diplomacy we are trying to get the world economy off Lignite and Bituminous. today Anthracite is the industrial standard this coal is cleaner then Lignite and Bituminous because it has spent the full 65 million years in the ground and is metamorphic rock and contains Graphite which is used to filter out the impurities Lignite and Bituminous are dirty they only spent 56 million years in the ground and not all the sulfur and lead have been removed with the liquefaction. people need to stop mining Lignite and Bituminous sulfur is a green house gas and is poison. 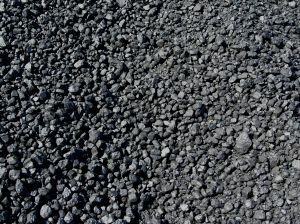 only Lignite and Bituminous are dirty they contain to much Sulfur and Lead both are CFCs if burned Anthracite is cleaner because it contains Graphite which removes the impieties when it is burned.